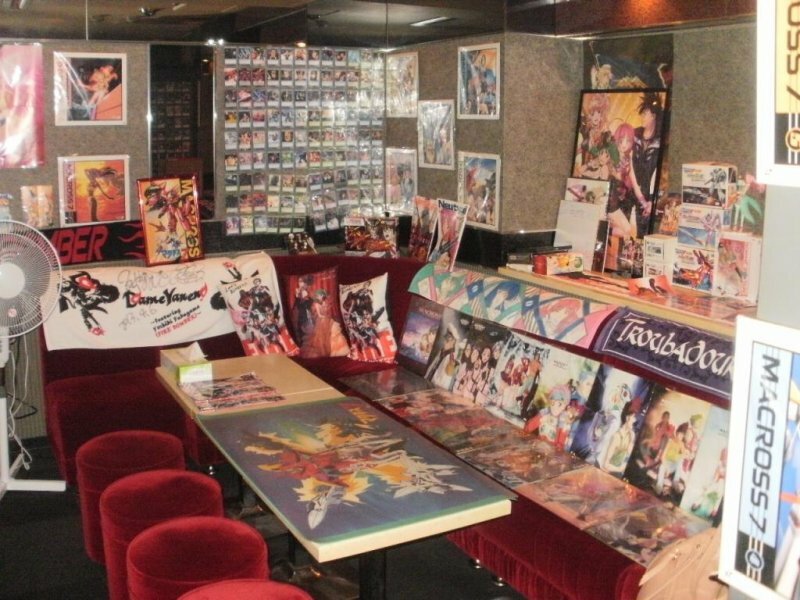 While Tokyo is home to many anime-themed bars and cafes, especially in Akihabara and Nakano, it’s unusual to find such places anywhere else. 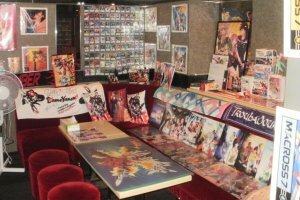 Fans of the anime Macross, along with those clueless about it, can now enjoy visiting Fire bomBAR in Osaka City, just five minutes’ walk from Higashi-Umeda Station in the heart of the Umeda entertainment district. First broadcast on Japanese TV in 1982, Macross presents a fictional history of Earth and its people from the year 1999. 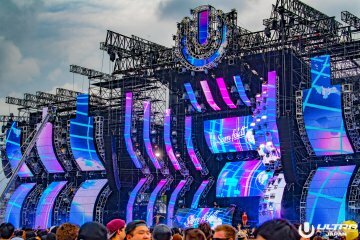 It involves the first war between humans and aliens, and the accidental discovery by the humans that efforts to end the conflict with music and love work better than weapons. 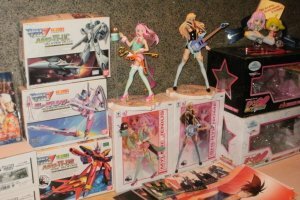 One of the creators was Kawamori Shoji, a screenwriter and mechanical designer who also helped bring about the early Transformer toys. 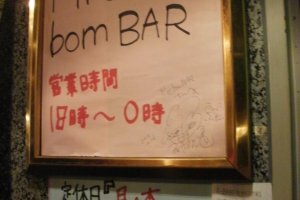 The name Fire bomBAR is a play on Fire Bomber, a rock band featured in Macross made up of a Japanese man, an African-American man, an alien woman, and one female human-alien hybrid. For overseas release, Macross was combined with two other animated series and called Robotech. 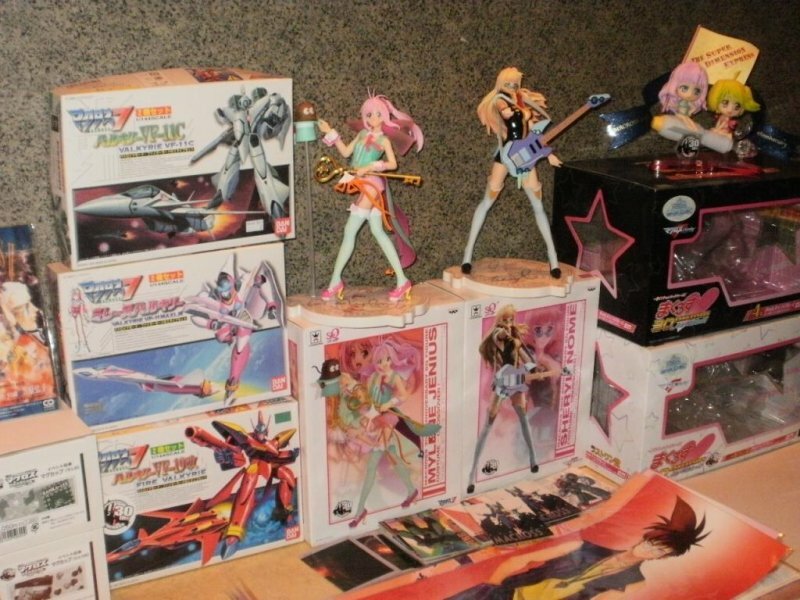 In all, Macross has included three TV series and five animated movies, along with multiple manga series, novels, video games, direct-to-video/DVD releases (something which doesn’t have the same negative connotations in Japan as in other countries) and even a stage musical. 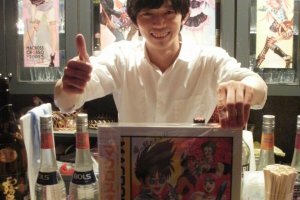 Osaka-born Fire bomBAR owner Okamoto Hiroyasu began watching Macross as a high school student, but didn’t grasp the full implications of its message until age 20. He says, “What I learned from Macross is that music can break down the walls between people from different backgrounds, who can then learn from each other and be enriched by the experience. 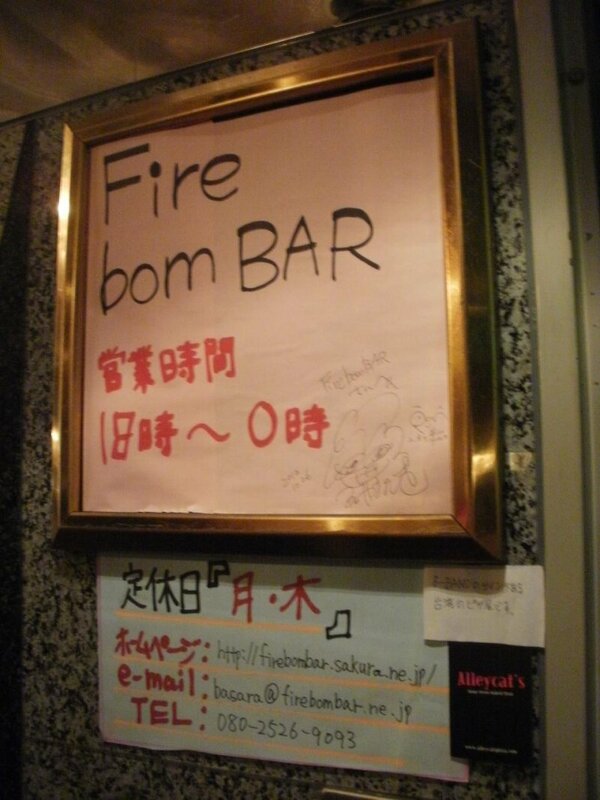 I opened Fire bomBAR to be a place where people can meet in this way. 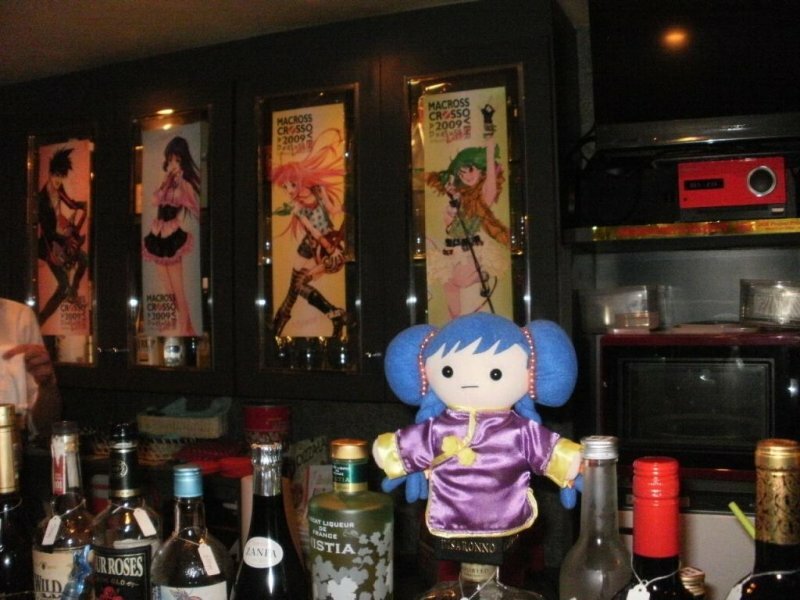 Everyone is welcome regardless of whether they are Macross fans or not.” Okamoto-san’s dedication to running Fire bomBAR five nights a week is made even more impressive by the fact that he also works full-time in a hotel. Macross fans will certainly feel at home in the non-smoking bar adorned with posters, action figures and trading cards from the series. 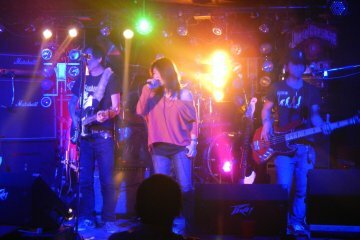 Fire Bomber’s music rocks out constantly from a stereo which, like much of the décor, is the band’s signature red. 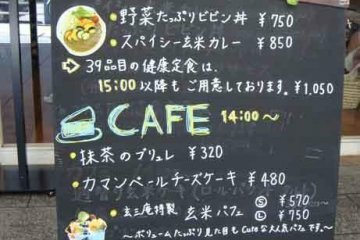 All of the items on the menu take their names from Macross characters, song titles or quotes. 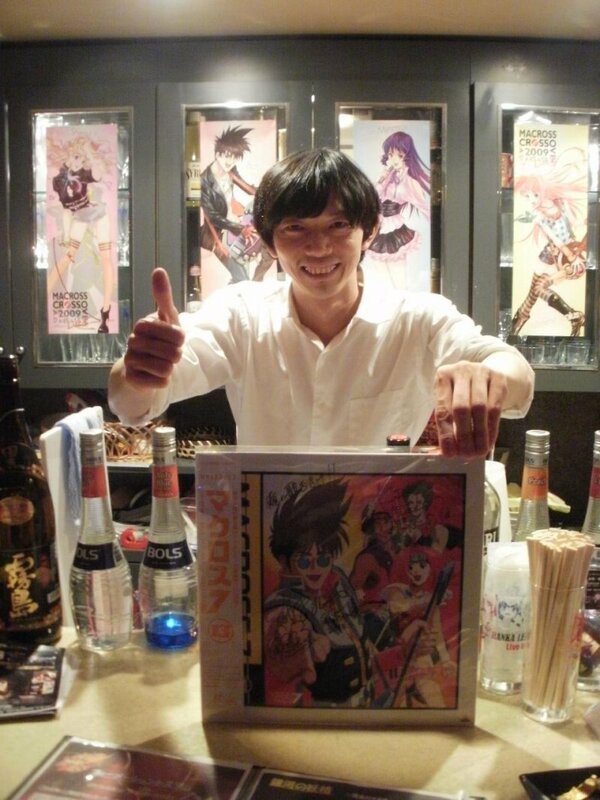 Standing out is Basara Curry (800 yen), commemorating Fire Bomber’s lead singer, Nekki Basara. Extra spice (200 yen) is called Sound Booster, after the stereo speakers on Basara’s robot suit with which he blasts enemy space ships with music instead of missiles. 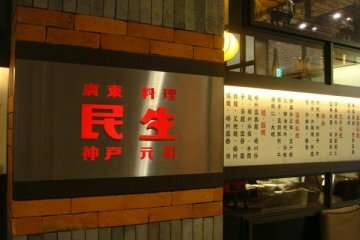 Oden, pasta and karage fried chicken dishes are also available. Soft drinks start at 400 yen, cocktails at 600 yen and food at 300 yen. 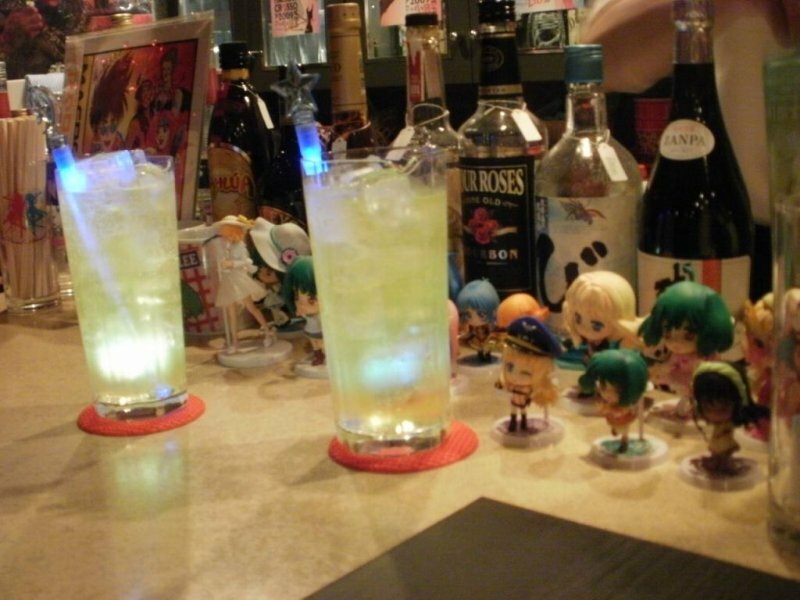 A glowing plastic cube gives a futuristic touch to the beverages. 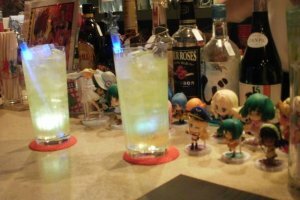 The 1000 yen cover charge includes the first drink. 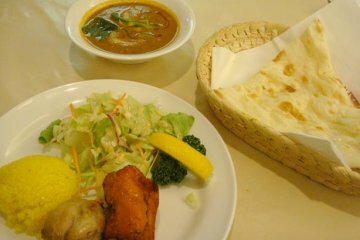 Visitors who don’t order anything else are charged 300 yen per hour and are missing out on great food. 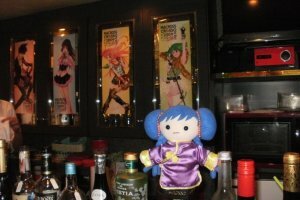 Though Okamoto-san claims he speaks little English, he has welcomed visitors from Brazil, Malaysia, Peru, Taiwan and the US and communicated with them about Macross. 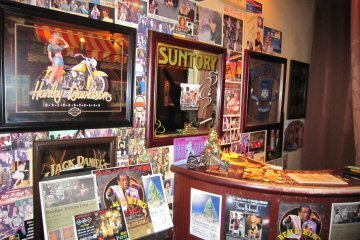 Two recent visitors who knew little about the series were enlightened by patient explanations from Okamoto-san and regular customers. 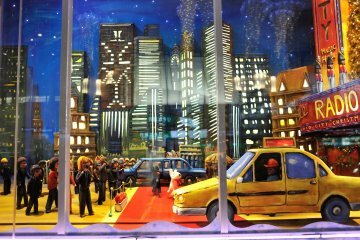 Why not explore new worlds at Fire bomBAR? Special thanks to Machiko and Howard Browning, and Howard Kawai. 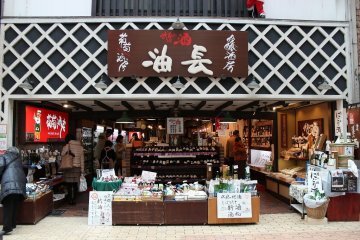 I've lived happily in Japan since 1994, first in Osaka and now in Hyogo. 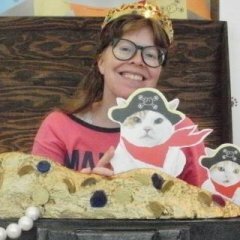 I love to travel, write, and sing.